I described the last stage as ordinary. 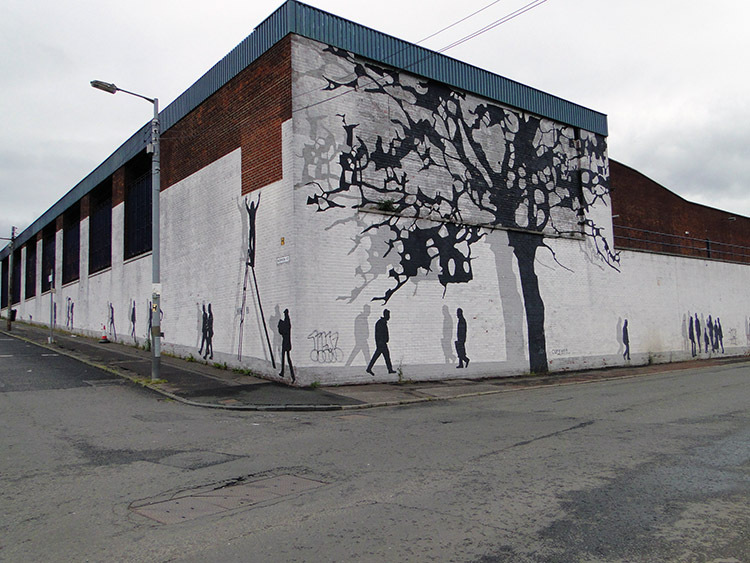 How do I describe this stage which took me along the streets of north Glasgow to the fringes of Central Glasgow and then along more streets to the south east of Glasgow? A city walk will have to suffice and I suppose the description is fitting. See what you think would be an appropriate word to describe the stage after reading the story. One important thing of note is that this stage cleared off the deficit I had been contending with since Fort William. By the end of the stage I would be slightly ahead of my original schedule. As it had been yesterday, I was faced with another miserable days walking. It was not raining as heavy as yesterday but light rain was falling and the skies were leaden as I contemplated the day ahead. At least after eight days of long drives to take me to my improvised start points and stage finish points Lil had no driving to do at all for this stage. I chose to travel by train from Glasgow Central to Hillfoot and having planned to finish at a suburban Glasgow railway station as well meant she could relax. It was Saturday and I had the opportunity to let her enjoy shopping in the City Centre while I walked on by. It was the very least I could do for all the effort she had made to get me back on track before she left me to go back home in one days time while I continued the walk. My decision to continue walking from Milngavie to Hillfoot yesterday scuppered my original plan to follow the Kelvin walkway from Milngavie to Glasgow. Now I was faced with either walking east along the A8049 to Temple of Boclair to join the walkway or walk south from Hillfoot to Maryhill and then alongside the A81 to the city. I chose the latter, a less scenic route but much shorter and direct. Having woken with tender feet after yesterday's wet slog I decided the city streets route was the prudent option as it would allow me to get back on schedule and that incentive held sway. So I began walking along the streets of Glasgow. I walked along as fast as my aching feet would allow, tenderly at first and then with a little more pace after the feet became accustomed to walking again. 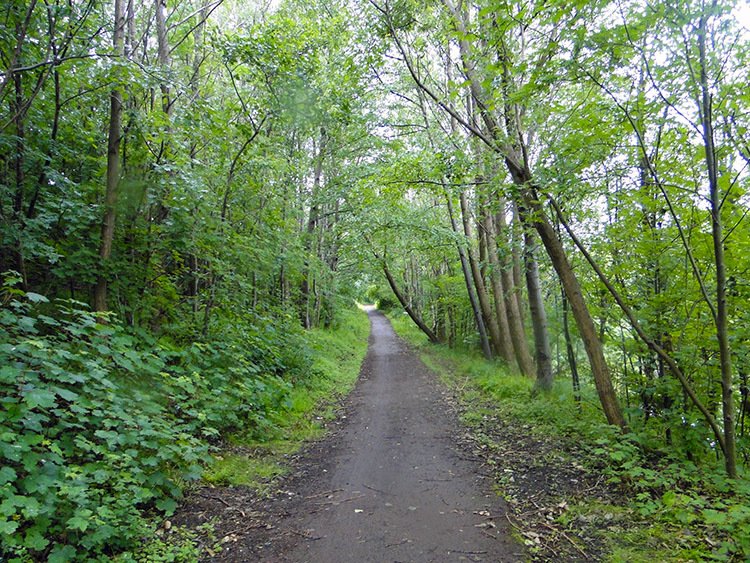 I walked along Milngavie Road past the junction with Kessington Road and then over the green space of Cluny Park which gave my feet a little respite from the less forgiving tarmac of the footpath. 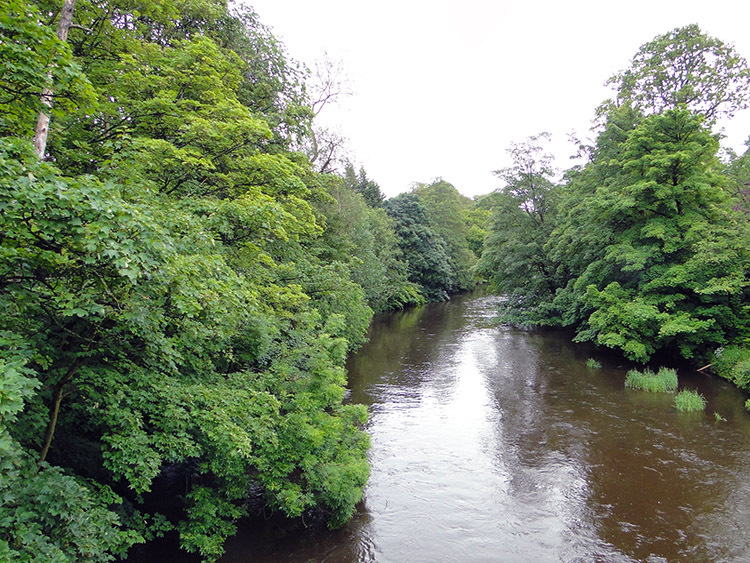 Soon after I came to Garscube Bridge which gave me my one and only sight of the River Kelvin. Then I walked past the campus of Glasgow University and the Science Park just before I reached the Maryhill area. At Maryhill I stopped for coffee at a cafe along a row of shops near Maryhill Railway Station. It was nice to stop, observe the local goings on and read a little in the local Saturday newspaper. The staff in the cafe were pleasant to talk to even if they found a walker with backpack and poles a little unusually amongst the local folk who were frequenting the cafe at the same time. Near the cafe a sign pointed to the Forth and Clyde Canal which I followed to a series of canal locks. Here I could have picked the Kelvin Walkway up as per my original plan. I waived the opportunity and carried on walking along the road through Maryhill and to North Kelvin. It was an unremarkable section to walk except for some interesting buildings to observe as I passed by. After North Kelvin I followed Garscube Road towards Port Dundas. I was beyond homes now and in an area of industrial buildings, some old and some new. 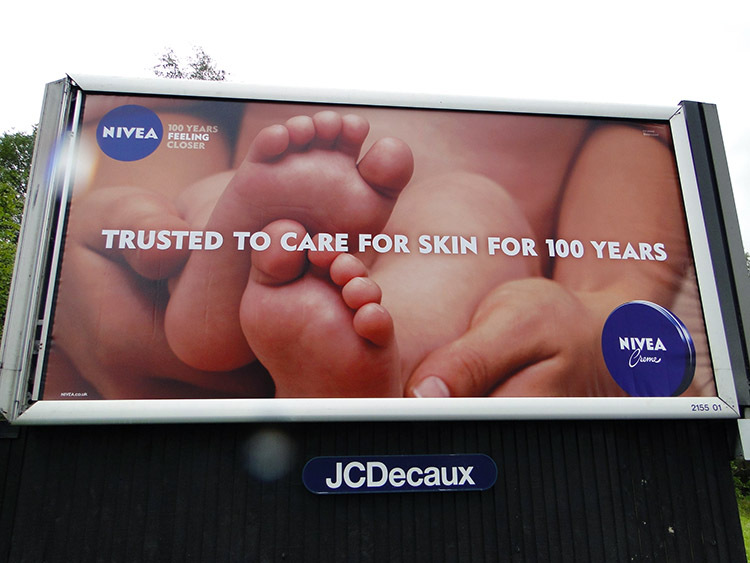 A billboard advertising the merits of Nivea Cream made me smile, I looked at the baby's pristine feet on the picture and then thought of mine, all blistered, calloused and sore. Soon though thoughts of my ailing feet was gone, taken away by my attention being drawn to canal and parkland which I had reached. 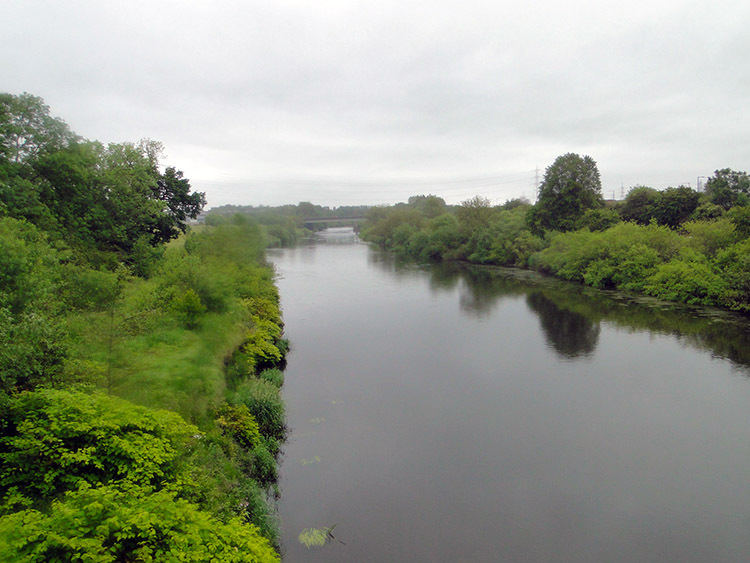 I enjoyed the respite from the footpaths and roads as I meandered with the twists and turns of the Forth and Clyde Canal in Ruchill Park, Firhill Park and on the towpaths in the Hamilton Hill and Port Dundas area. 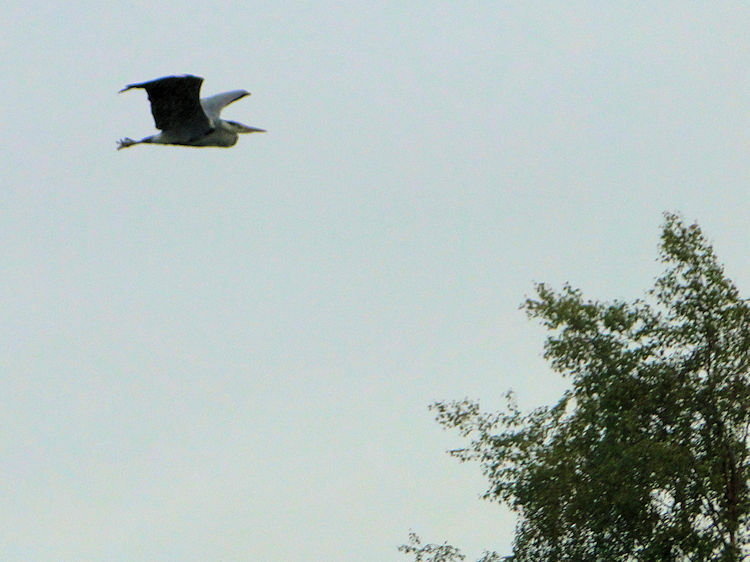 Urban wildlife also attracted my attention as I walked beside the canal. 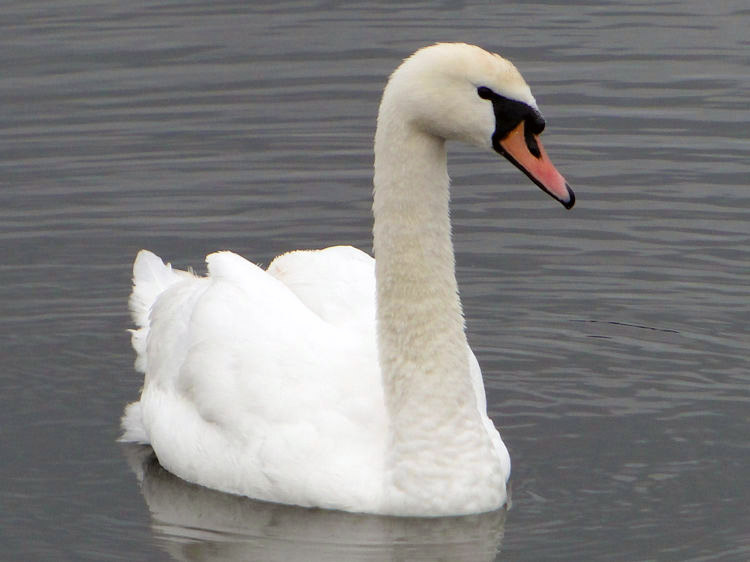 Swans and Tufted Ducks enjoyed the calm waters of the canal as much as I did for the brief time I walked along through the area of Port Dundas. 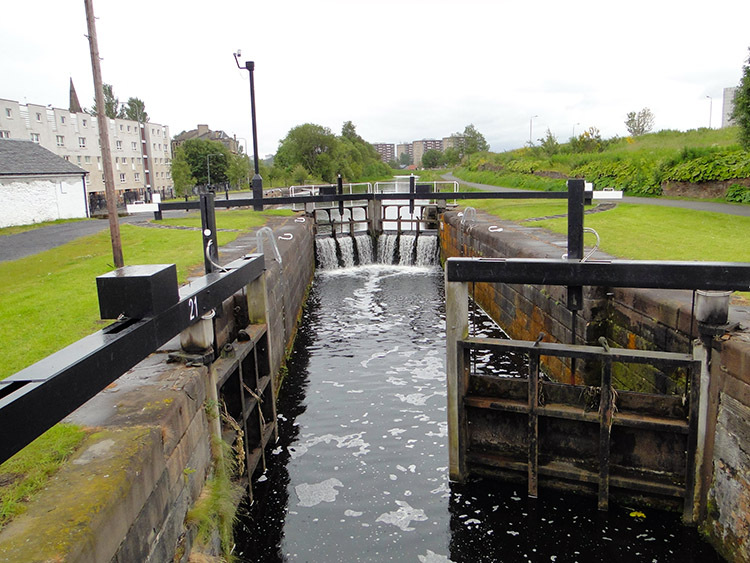 I left the canal side by following a path beside the A879 under the M8 motorway. 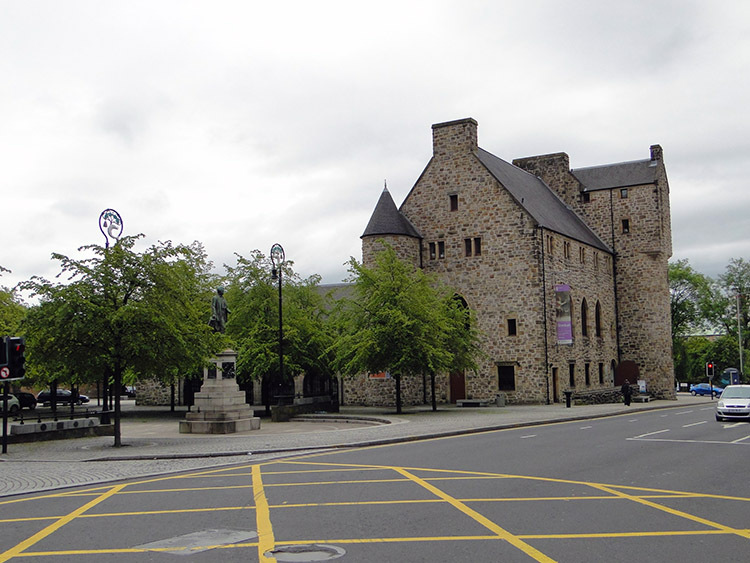 I resumed my walk on footpaths through the Townhead area towards Glasgow Infirmary, Castle St Mungo and Glasgow Cathedral, all of which I wanted to see. After John Knox Road all the people disappeared. 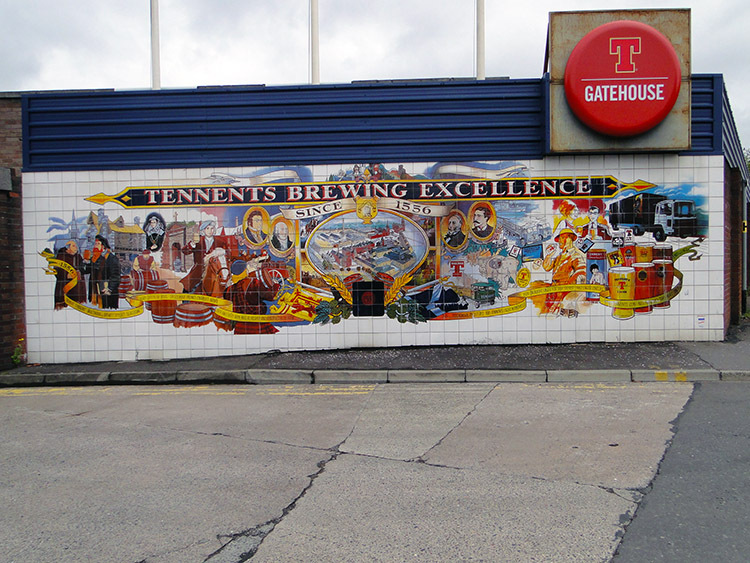 I walked along Duke Street where I passed Tennents Brewery and then onto Bellgrove Street which I followed to Abercromby Street. It was deadly quite, not a soul in sight anywhere. Despite the quiet I felt intimidated though there was nothing to suggest why. It was just a feeling. From Abercromby Street I turned left to follow London Road. 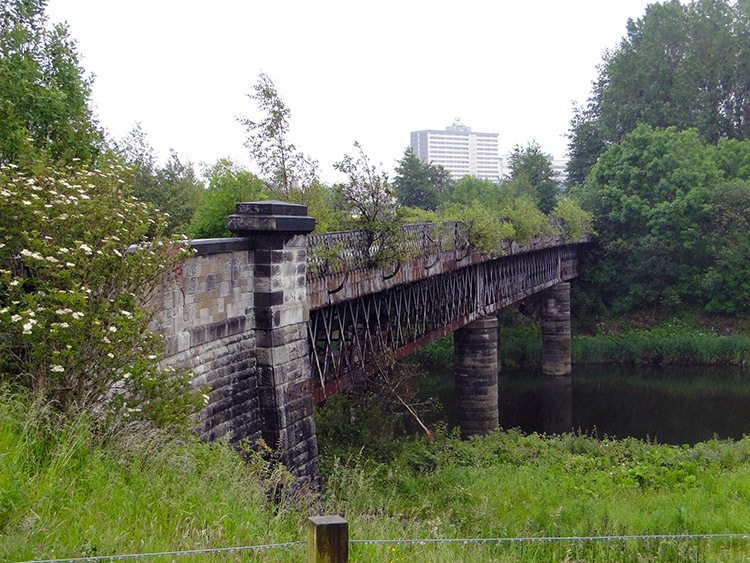 My intention had been to continue along Arcadia Road to the Clyde Walkway at Kings Bridge. However a sign informed me a stretch of the walkway was inaccessible due to building work so London Road provided the link to the walkway at Dalbeth. My walk along London Road proved to be a nightmare. As I walked along London Road I sensed noise and then I saw groups of people. As I closed in on them I noticed Union Jack flags hanging over buildings near the crowds. Then I noticed many had beer glasses in their hands. I was approaching an area of public houses on London Road where groups of drinkers were assembled on the streets. I could see them looking at me as I got nearer and although I got past one group at the first pub without hindrance the group at the second pub were not going to allow me that luxury. One drinker stepped away from the pub side and directly into my path. He asked an offensive and inappropriate question in a hostile manner just as I reached him. I stepped aside and continued walking briskly hoping he would take it no further. Luckily for me he did not follow, just continuing to shout abuse as his entourage laughed. I crossed the road to avoid the bigger groups outside the remaining pub frontages. 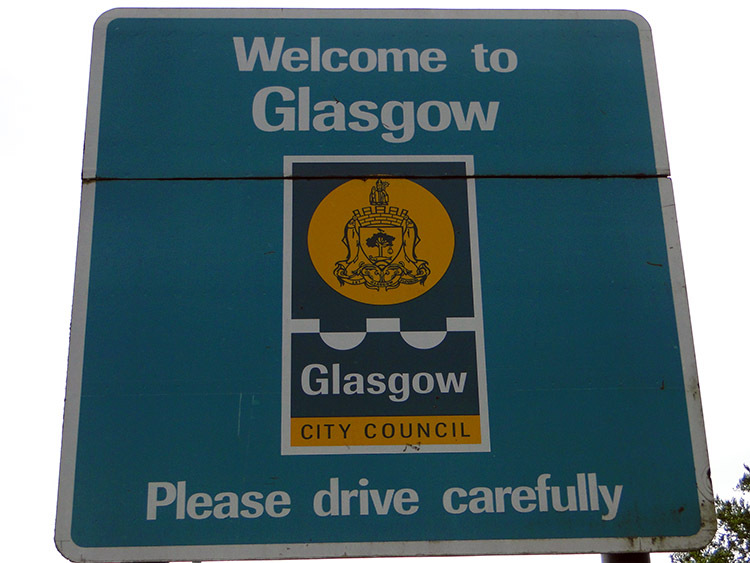 Thankfully I soon reached to a quieter stretch of London Road which I scurried along until I passed close to Celtic Park before leaving the road to follow a path through a cemetery to the Clyde Walkway. I breathed a sigh of relief. Hindsight is a great thing, I wish I had been given it for just this day. If so I would have picked the Kelvin Walkway up when I had the chance in Port Dundas and followed it to meet the start of the Clyde Walkway at the Scottish Exhibition and Conference Centre. I would have walked a few more miles but they would have been much pleasant than those enjoyed on the streets between Glasgow Cathedral and where I was now. Finally on the Clyde Walkway I ducked underneath a bridge on the Clyde to avoid a spell of light rain and stopped to eat a sandwich and take a drink. I pondered how it could have been worse. At least I was unscathed and after my refreshment break I walked on good tracks through woodland and beside the River Clyde for the final few miles of my days walking. 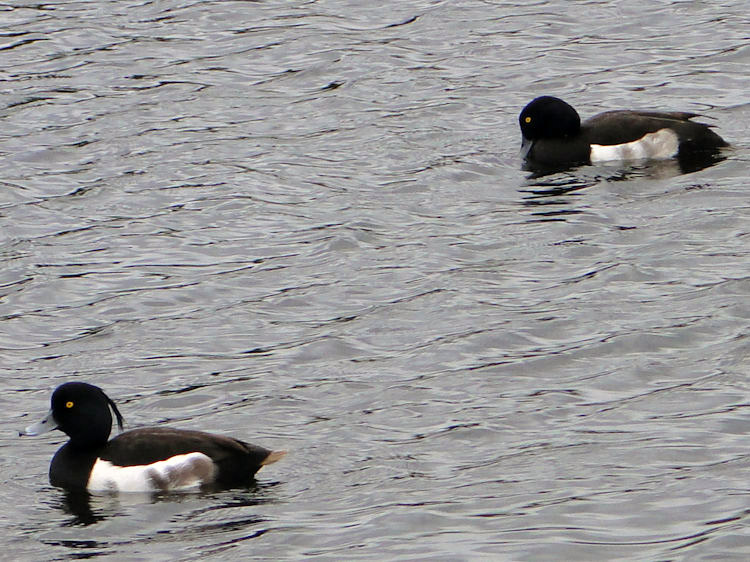 While on my final couple of miles walking along the Clyde Walkway I considered what I had lost and what I had gained. I had missed out on a walk through the old docks of Central Glasgow beside the mighty River Clyde. I regretted that. 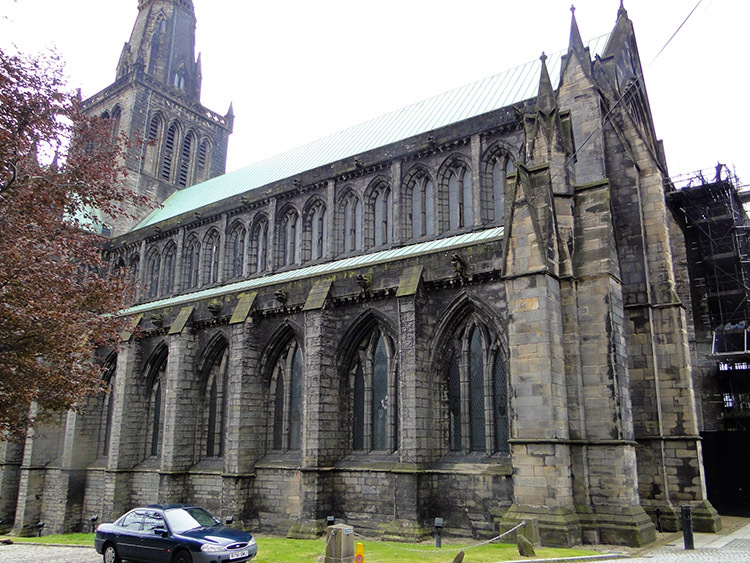 In compensation I had seen the lovely buildings in the Glasgow Cathedral area including Castle St Mungo, the buildings of Glasgow Infirmary and the Cathedral itself. I had braved the challenge of the London Road passage on a Saturday afternoon while wearing clothing and using poles deemed items of ridicule to some. In hindsight quite an experience! With this stage of the walk over when I reached the railway station at Newton I considered what tomorrow would bring, another day of some inevitable urban walking but a day which would see me out of the city and back into the country.